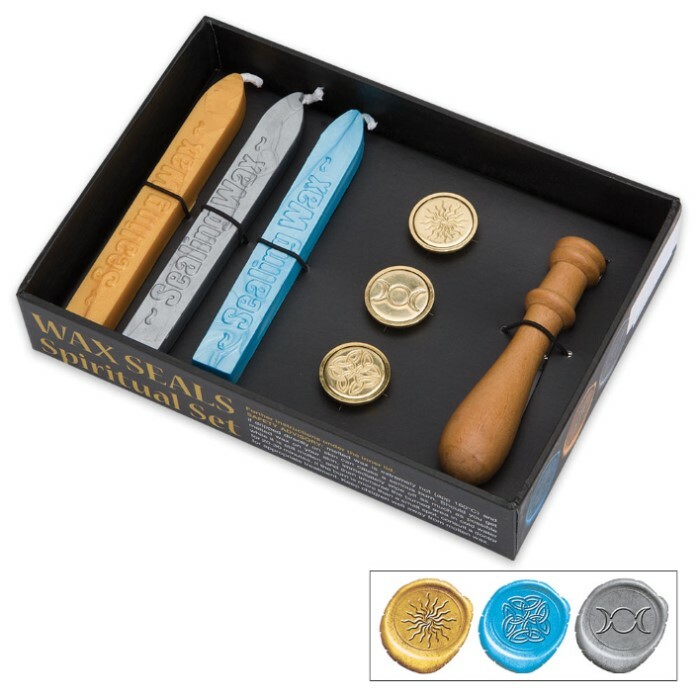 Lo Scarabeo Spiritual Sealing Wax Kit - Blue/Silver/Gold Wax, Wooden Stamp, 3 Brass Imprints | BUDK.com - Knives & Swords At The Lowest Prices! In this impatient era of email and instant messaging, there's no more meaningful correspondence than the handwritten letter, and adding a classic wax seal makes it especially impressive! Sealing an envelope with a personal mark pressed in colored wax also dresses up stationary, invitations and other typed and printed communication, and this lovely kit makes it easy and fun! 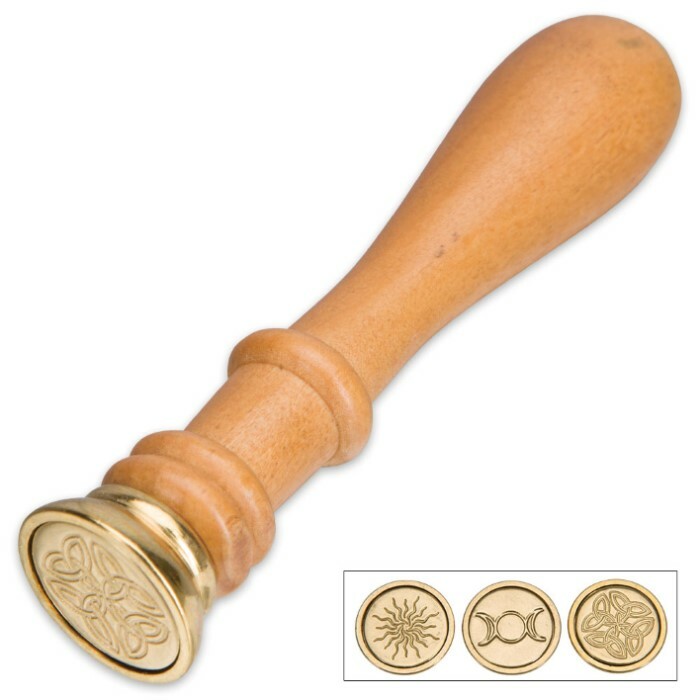 It includes everything you need to get started - high quality sealing wax in blue, silver and gold; a handsome wooden stamp handle with interchangeable brass seals; and three unique brass seals with distinctive spiritual imagery imprints. 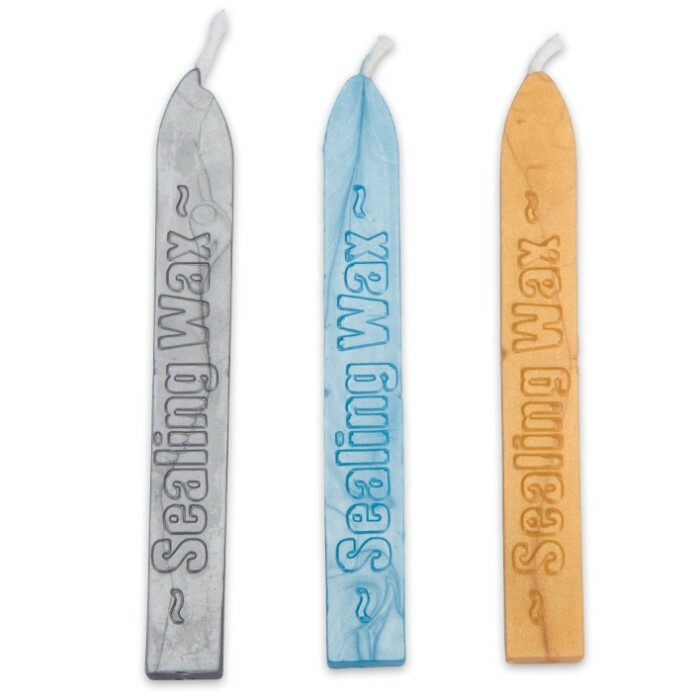 In addition to traditional stationary use, the spiritual, magical, and decorative applications of this all-inclusive sealing wax kit are endless. Perfect for spells, rituals, greeting cards and crafts, the natural wax sticks and the high quality seals included in this pack will provide countless hours of meaningful use!